For more detailed steps read down as I showed my teenage daughter how to do this and save herself some money! When getting ready, it is important to have the right tools and materials on hand, such as jack stands, a socket set, paper towels or rags to wipe up any spillages, gloves and an oil drain pan. 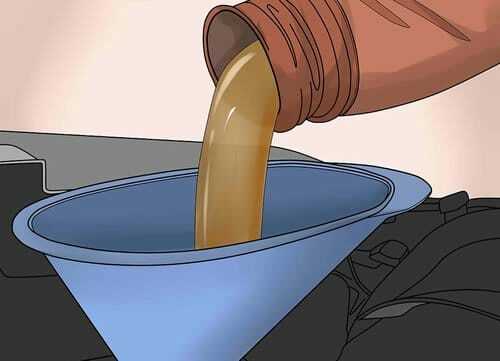 Let your truck engine run for 10 minutes before you drain the oil since warm oil is easier to drain than cold. Make sure you park on a level surface or, if your truck has a low clearance, jack it up or drive it onto a ramp. If youre jacking up the truck, use two jack stands instead of one. (An additional jack costs about $20 and that is a small price to pay to spare your face from being squished by a badly balanced truck.) You might want to check your pickups manual about the weight of oil and type of oil filter you need to use. 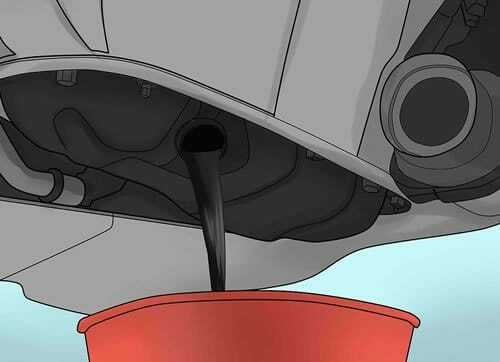 To drain the oil, crawl under the truck and look for the oil drain plug under the engine near the front of the truck. Position your pan beneath the plug then use a socket wrench to loosen the plug, turning counterclockwise. Once loosened, you can use your hand to remove the plug and the hot oil starts pouring out. Make sure all the old oil is drained into the pan. Once its completely drained, wipe the drain plug and the plug opening. Now replace the drain plug gasket and use a wrench to reinstall the plug but dont make it too tight. 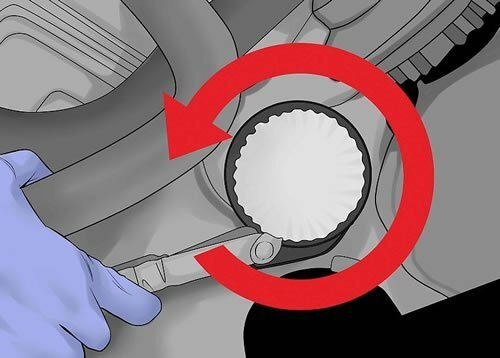 Remove the oil filler cap thats located at the top of the engine. Position the funnel at the opening and slowly start pouring in the new oil. You might want to check your manual for the proper oil capacity but, typically, you will need four or five quarts of oil. Once youre done, put back the oil filler cap. Start the engine, let it run for a minute and then check the dipstick. If you need to, add more oil. Now check for any leaks near the oil drain plug and the filter. 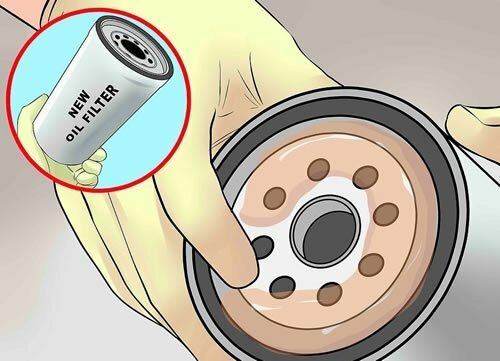 If you do find leaks, simply tighten the plug or oil filter. Who changes their own oil anymore? Not me but I thought it was a good idea to teach my teenage daughter how to in case she wanted to save some money by doing it herself. To help her out I wrote out step-by-step instructions on how to go about it, you may find that these simple to follow steps can help you as well. Below are the exact list of steps she followed to actually change her truck’s oil. I created a list of tools and material she would need to gather before starting. Check your owners manual for type of oil and amount needed. All auto parts stores will assist you in finding the right oil and filter. I explained that it was a good idea to run the car’s engine for a few minutes before she drained the oil because warm oil drains faster than cold oil. 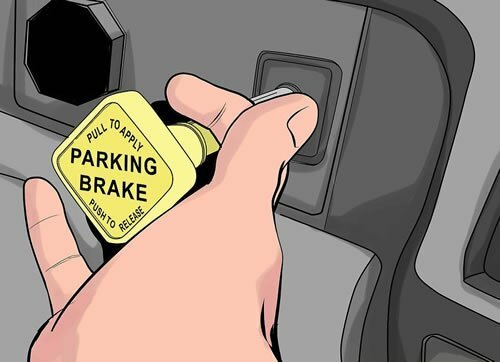 Always park the car on a level surface, engage the parking brake and turn off the engine. It may be necessary to raise the front end in order to get under. 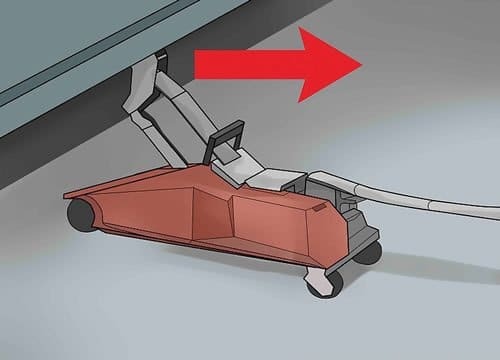 If so, use two stands, one on each side for a sturdy foundation.I told her to place the new oil under the hood so she would not forget to add the new oil back into the engine. I’ve heard of people forgetting. 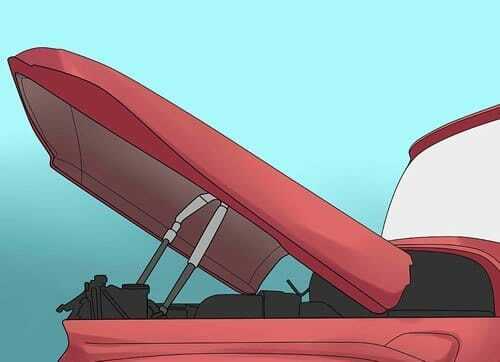 Next to locate the oil drain plug on the underside of the engine. Check your owner’s manual for the exact location. 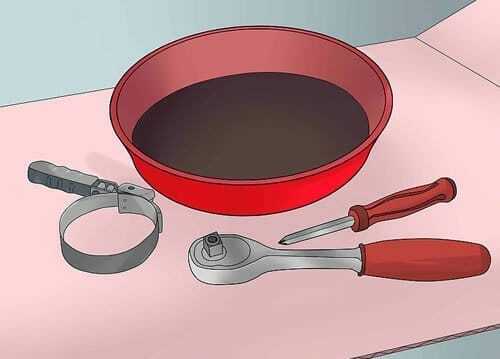 Place the oil drain pan under the plug and loosen the plug with a socket wrench and turn counterclockwise to remove drain plug. Remove the plug by hand and be careful of the rush of hot oil. Wearing gloves is a good idea. Let the oil drain into the pan. It is a good idea to replace the drain plug gasket at least every other oil change. Reinstall the plug by hand then tighten with a wrench or socket and be careful to not over tighten the plug. This could cause a leak and/or make it difficult to remove the plug later. Locate the existing oil filter. Again, check your owner’s manual for exact location. Place the oil pan underneath the filter to catch oil. 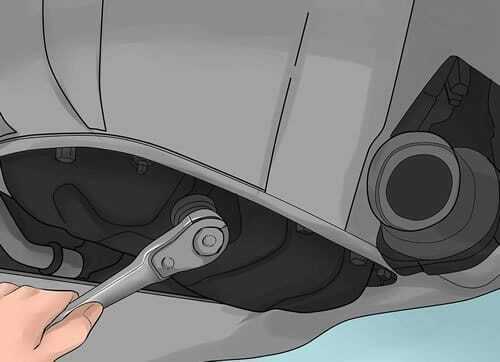 Use an adjustable oil filter wrench to unscrew the old oil filter. 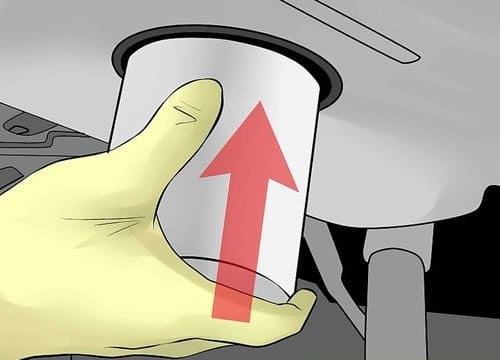 Use a rag to wipe the area where the filter mounts to the engine. Using your finger add some new oil to the rubber seal of the new filter. Screw the new filter into place by hand. If you’re not strong enough use the adjustable filter wrench, don’t over tighten. Once all of the old oil is out and you have installed the new filter and tightened the drain plug it’s time to add the new oil. 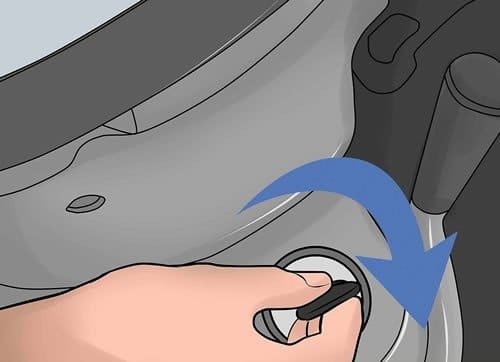 Locate the oil filler cap on top of the engine and remove it. Place the funnel in the opening and pour in the new oil. Replace the cap when you’re finished. Run the engine for a minute, then check the dipstick. The owner’s manual should show you a diagram of where the oil level should be. Add more oil if necessary. Check the area around the oil drain plug and the filter for oil leaks. Tighten the plug or oil filter if you find leak. Use rags and/or newspapers to wipe away excess oil. 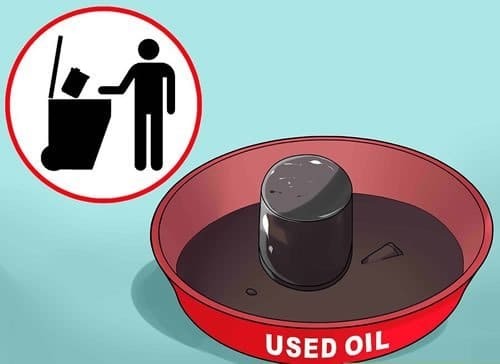 Pour the used oil into a plastic container after the used oil cools. I use old plastic milk containers. Lastly, dispose the used oil at a recycling center, an auto repair shop or county land fill. Never pour it down the sewer or directly on the ground. That’s it! She was able to change her car’s oil with little help from me and she keeps these instructions in her glove compartment for future oil changes. By doing this herself she was able to save $20. Good luck.